Their first year will seem like the fastest year of your life. Allow me to document them so you'll forever remember. Includes an online viewing gallery for 15 months, all final images in high-resolution digital format, photo editing and basic photo processing. 50% of the total cost must be paid at the first session, and the remaining 50% is due at the 6-month session. 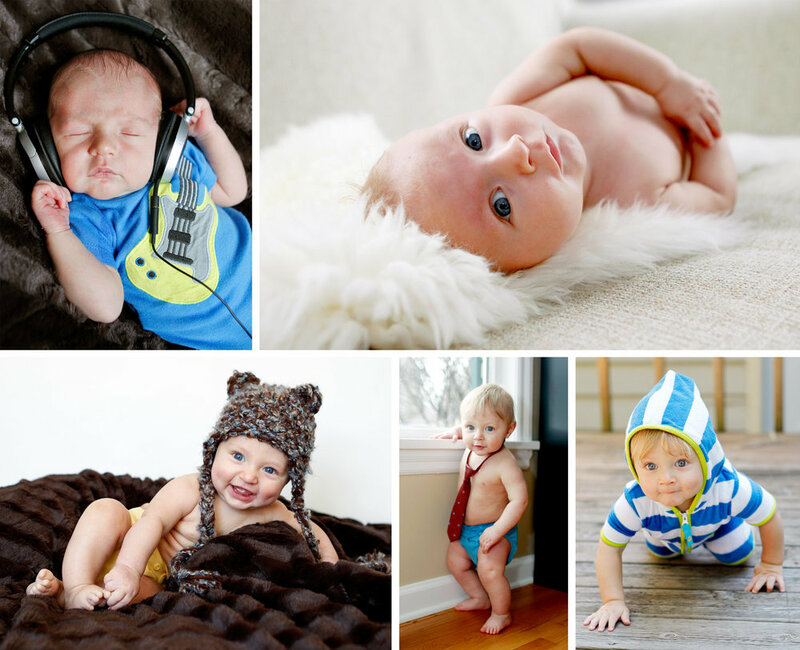 All Year One sessions in the series must be completed within 1 month of the baby’s first birthday. Our standard coverage area for local sessions is anywhere within a half-hour drive of Madison, WI (60 total minutes round-trip). We will happily travel outside of that radius, but we will add a mileage fee to cover our time and travel expenses. You are welcome to choose the location of your session, or we are happy to make recommendations. Light is the key to to great photography. We strongly recommend all outdoor sessions take place within 1.5 hours of sunrise or within 2.5 hours of sunset. Mid-day light is harsh and casts unflattering shadows, which makes it difficult or impossible for us to create our best work. We understand young children become cranky as bedtime approaches. In this case, we will schedule an earlier session and choose a location with filtered or muted light. Prices are subject to change. Once we have chosen a date for your session, we will send you an online agreement to review and sign. You have not "locked-in" your session price until you have signed this agreement.